This course is for graphic artists, computer applications majors, and those in the printing trades. It provides students with a foundation in using the computer as a tool to create and manipulate photos and graphic images. Students will explore digital imaging techniques through the use of photo manipulation software. Students will learn to use photo editing and correction tools, create special effects, and work with a variety of file formats. This course involves considerable hands-on instruction and multiple projects. It includes a one-hour laboratory each week. 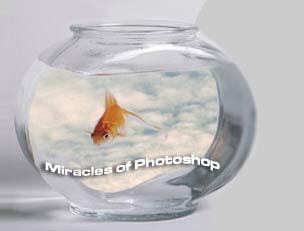 Study of Photoshop resembles an oceanographic expedition. It starts with the feeling of admiration that never ends as in the course of learning new discoveries strike your imagination with depths of digital world. Photoshop is awesome in its magic power and vast as the deepest ocean waters. Its study becomes your memorable life experience.